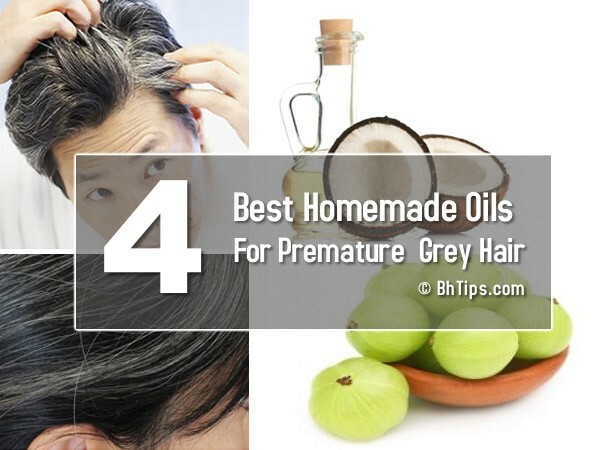 Premature graying hair is a common problem among many youngsters. Heredity is one of the main cause for premature graying of hair. If parents have genes of premature graying of hair, there are much more chances for transferring of such genes to next generations with more, less or same effect. Besides heredity, prolonged illness, internal weakness, poor nutrition, stress and unhealthy life styles are some other reasons for premature graying of hair. 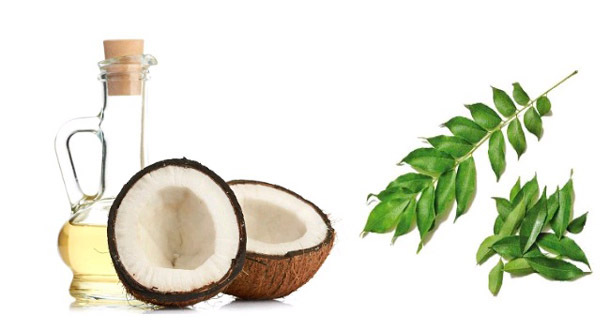 However, here we have some best oil combinations to turn you gray hair into healthy, shiny and black hair. Cut fresh amla fruits into small pieces and paste them until smooth. 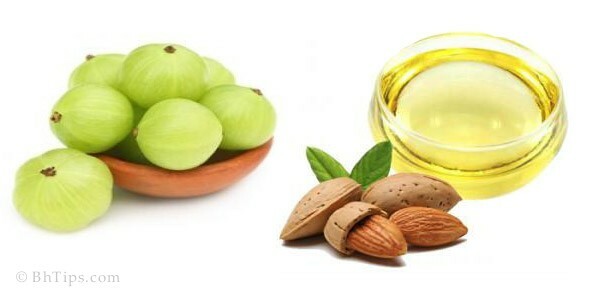 You can add some rose water to grind it.Add this paste to your regular hair oil and tightly close with a cloth or lid.Let the amla ingredients soak in your oil for at least a week.After a week, filter the hair oil and store it in a clean bottle for future use. 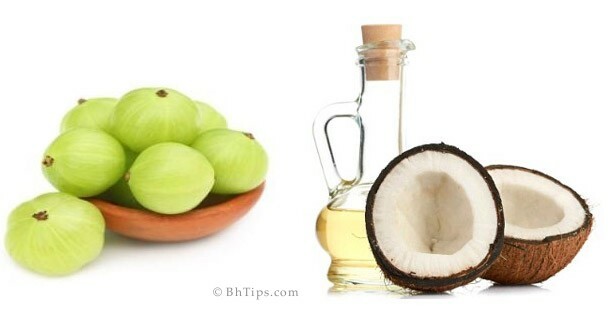 Cut amla into small pieces and allow them to dry in sunlight until there is no moisture. Powder this mixture and store it in an airtight container. Your amla powder is ready. Now heat almond oil in a medium saucepan, adding this amla powder. Turn off the stove when it turn brown and allow the oil to cool down. Store it in a clean bottle for future use. 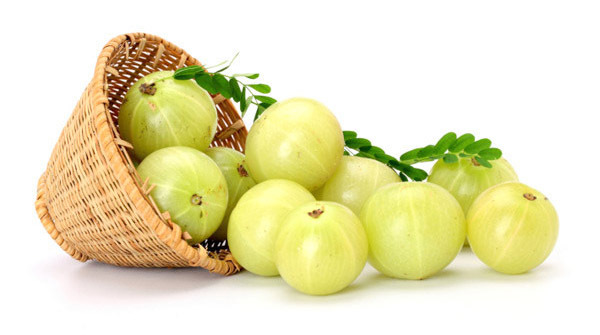 Cut amla into small pieces and allow them to dry in sunlight until there is no moisture. Powder this mixture and store it in an airtight container. Your amla powder is ready. Now heat coconut oil in a medium saucepan, adding this amla powder. Turn off the stove when it turn brown and allow the oil to cool down. Store it in a clean bottle for future use. Collect a bunch of curry leaves, clean and allow it to dry in hot sun until it turns dark brown and there is no water content in the leaves.Grind it to fine powder.Mix 4 teaspoons of this curry leaf powder with 200 ml of coconut and bring to a boil.After 2 minutes, switch off the stove and allow the oil to cool down.Filter the oil and store it in an airtight bottle for future use. (i)To get fast results you should apply any of above oil onto your scalp and hair on daily basis or at least twice per week. (ii)For better results apply hair oil before going to bed. (iii)To avoid stains don't forget to cover you pillow with old towel or old t-shirt.